2. 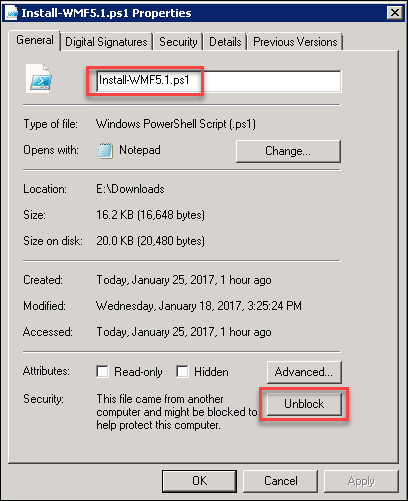 Download the WMF5.1 Package and Prerequisites for W2008R2, choosing 32 or 64 bit options. 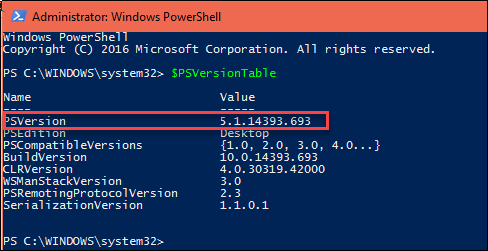 NOTE: .NET Framework 4.5.X version is the minimum requirement. 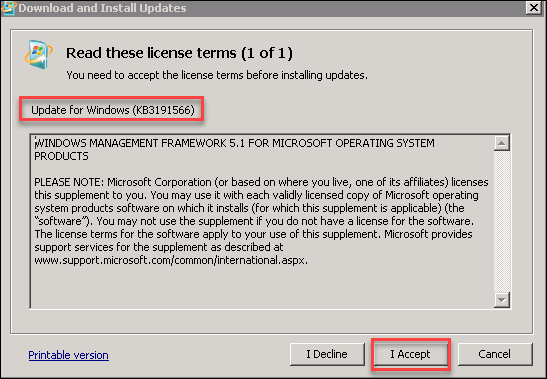 If .NET 4.6 is installed, it is not necessary to uninstall. 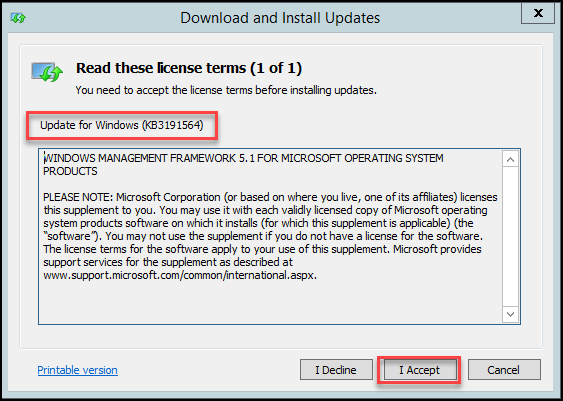 .NET 4.5 will not install if .NET 4.6 is already installed. 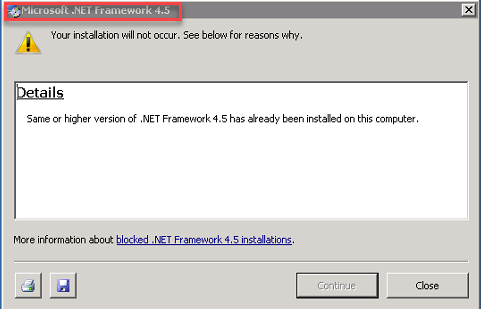 Install the .NET Framework 4.5 exe file and reboot the machine after installation complete. 4. 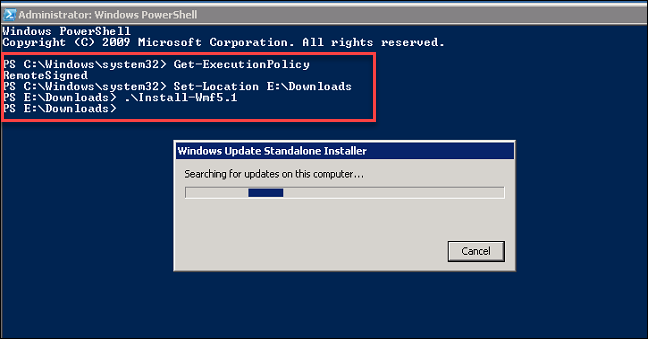 Open PowerShell as an Administrator and check that the Execution Policy will allow scripts to be run. 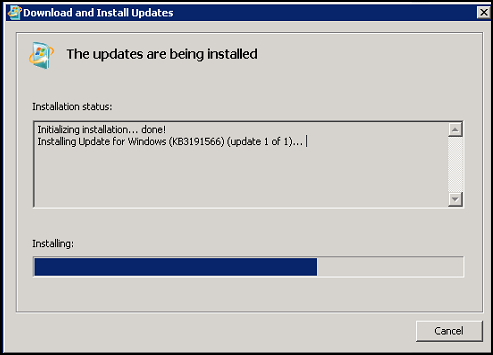 If the prerequisites are found, then the WMF5.1 upgrade installation will begin. 1. 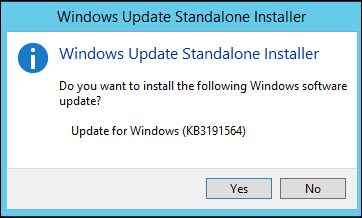 Have all current Windows updates installed on the WS2012R2 machine. 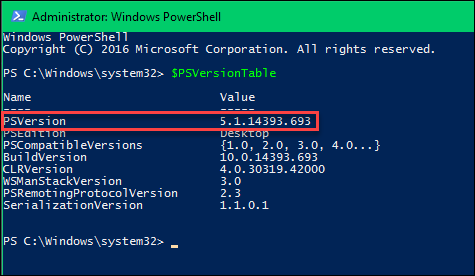 Yes you can install wmf 5.1 on server 2012R2 CORE.